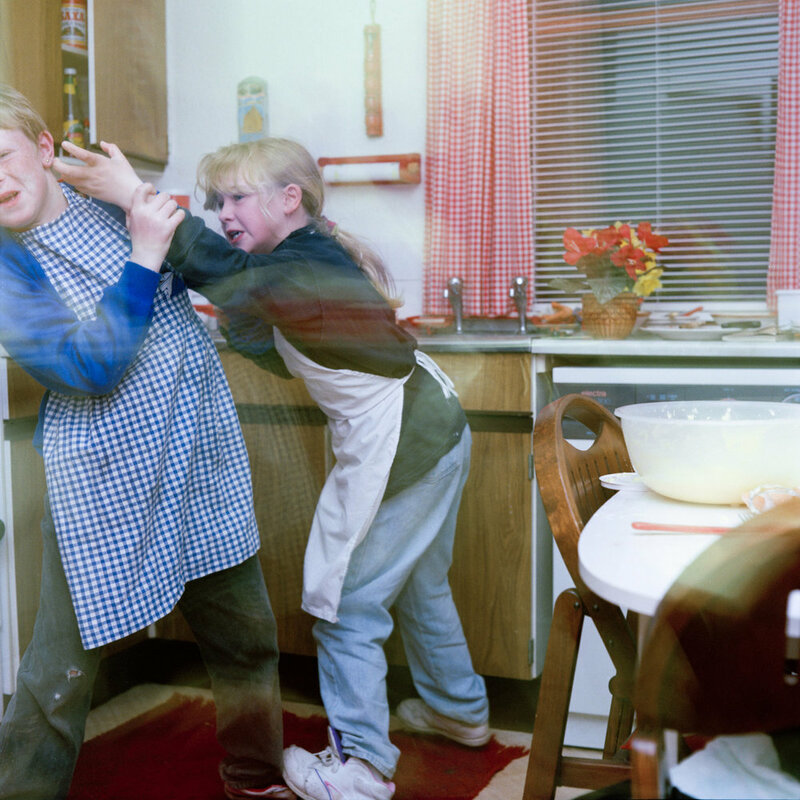 ‘Family' (1994) developed from beliefs on the stigmatisation of certain strands of society. The photographs feature the daily lives of my sister Andrea and her three children Steven, Kellie and Chick as they navigated their lives in difficult emotional and socio-economic circumstances. The Raploch (Stirling, Scotland) where they lived, scores high in the Scottish Index of Multiple Deprivation. Photographing Andrea and her children became about children, about childhood worlds with the internal domestic dynamics reflecting only partially the beginning of the external locality’s influence. Within ‘Family’, Andrea existed as a background figure to her children’s daily stories. She fed, clothed, washed within this complex and sometimes imperfect domestic sphere. The children's lives revolved around their involvement and experiences with one another. Life was for the most part, interior, contained, linked, inter-dependent. 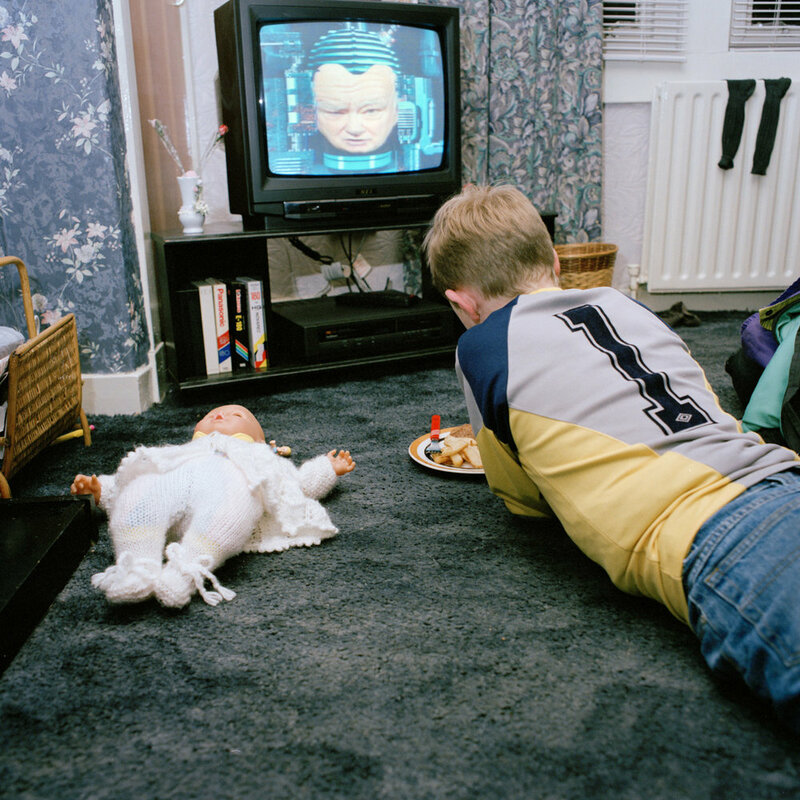 ‘Family’ is a project on childhood, on a certain lived domesticity, of complex influences seeping slowly into children’s selves, contributing and shaping who they were to become. An updating project 'In This Place' (2016-7) revisits the family, tracing their lives and offering a broader commentary on environment, opportunity and social inequality.